When it comes to Walt Disney World, or, for that matter, Disneyland Resort, not all of your activities need to be done at the actual theme parks. There are plenty of great things to do just at the resorts and surrounding areas, and you know what the best thing about them is? Most of them are free or low cost activities that your whole family can enjoy! 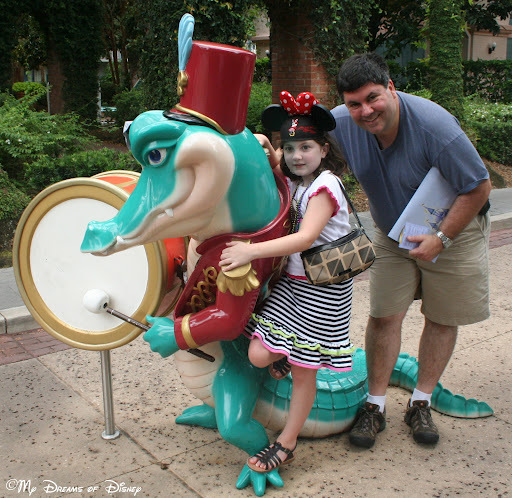 Here is my list of my favorite Walt Disney World Resort activities, let me know what you think and thanks for stopping by! Activity #1: Enjoying the Pool! When the weather is hot and the Florida summer is draining the energy out of you, taking a dip in the pool is a great alternative and a fun activity that you can do at your resort! 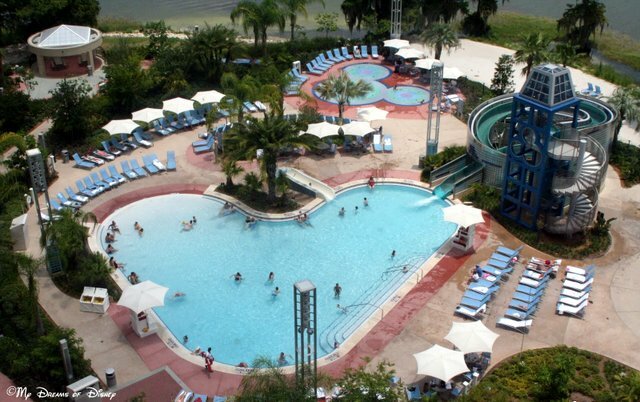 In the case of the Bay Lake Tower pool, the pool itself doesn’t do a whole lot for me, it’s nice, but not spectacular. However, the water slide is a lot of fun, and is something I like to do over and over again! Other great pools I’ve enjoyed at Walt Disney World are the pool at Coronado Springs Resort and the pool at Port Orleans French Quarter. 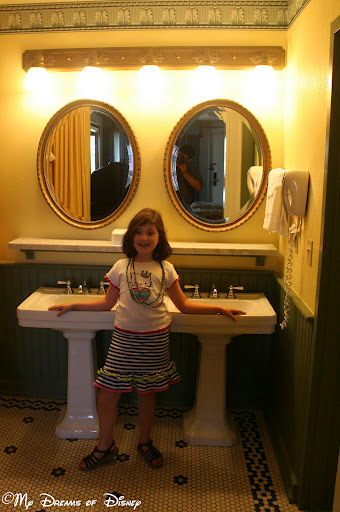 If you are staying there, go check them out! 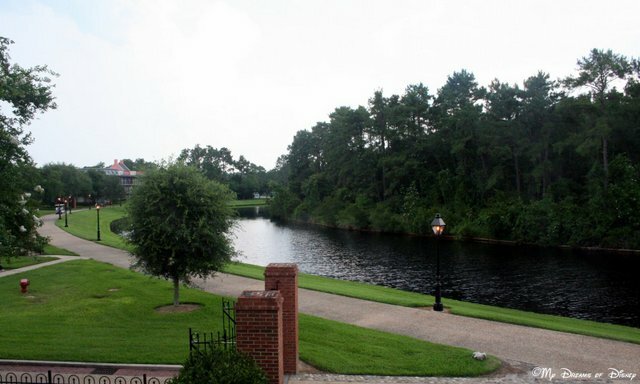 The Sassagoula River flows from Port Orleans Resort (both Riverside and French Quarter) to Downtown Disney! 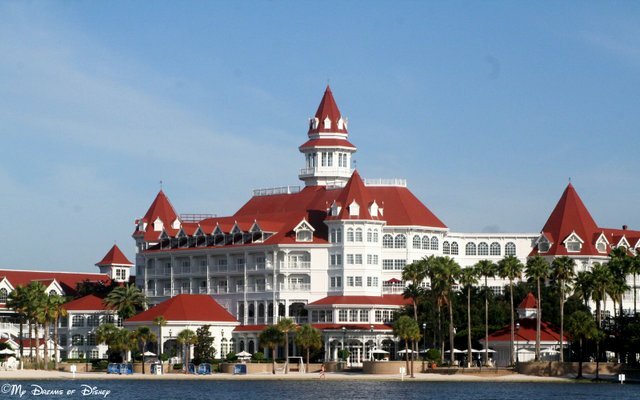 Speaking of Port Orleans French Quarter, one of the distinct advantages you have is the ability to take the water taxi ride from your resort to Downtown Disney. This relaxing 10-15 minute boat ride down the Sassagoula River is a great way to see some of the Disney that you don’t really think about, and a good way to get off your feet too! Of course, Downtown Disney has great shopping, food, and other activities, so this becomes a win-win decision! One of my favorite pictures is this one that my wife took when she, my daughter, and my niece went up in Characters in Flight, the helium balloon ride at Downtown Disney. I haven’t been up in it yet, but I do have plans to do so, it’s a question of when rather than if. This shot of Saratoga Springs Resort & Spa really shares the unique architecture and groundskeeping that a lot of the resorts have, and I really like to look at this photo. Characters in Flight is only $18 per person for adults, and $12 per person for children ages 3-9. Activity #4: Check out the Boardwalk! 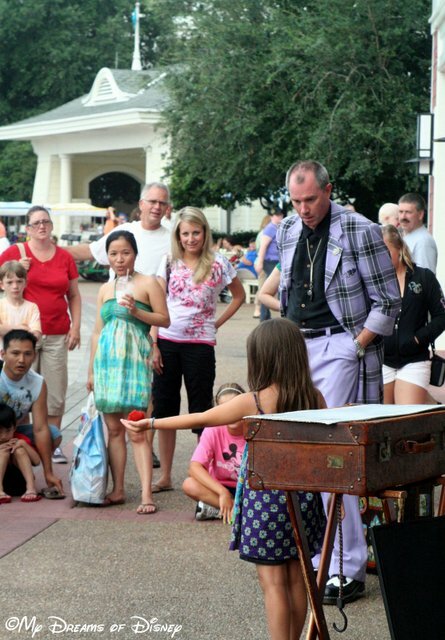 The street shows at Disney’s Boardwalk are fun to watch for all ages! Over at Disney’s Boardwalk area, you can see street performers, take a romantic walk with your special someone, enjoy some great music and food, or do some shopping. There’s something here for almost everyone! Activity #5: Meet some of your favorite Characters! What better thing to do than enjoy good food and see your favorite characters at the same time! 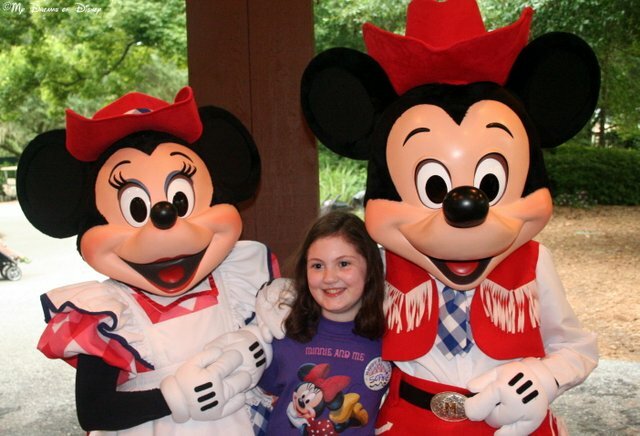 Lastly, one other great thing to do is to get your picture with some of your favorite Disney characters. While this picture was taken over at Mickey’s Backyard BBQ, and is certainly something that you would pay for, there are other options available also. Take a look around, you never know who you’ll see! Thank you all for taking the time to stop by and see all of the great things you can do away from the parks. What are some of your favorite things to do outside of the parks? Let me know in the comments below, and thanks! Also, our Disney Gift Card giveaway just started today, so click the picture below to head over to the post and enter. Good luck everyone!